From the day it was new, your BMW vehicle was engineered to deliver exceptional levels of performance and driving pleasure. Just like your vehicle, Genuine BMW Parts and Accessories are designed to meet the same exacting standards set by the manufacturer. When it comes time to repair or customize your ride exactly to your liking, why settle for anything less than the very best for your BMW? 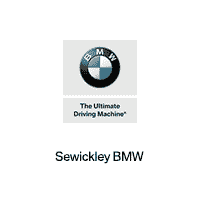 At Sewickley BMW, our Parts Center is your top destination for Genuine BMW Parts and Accessories. Our friendly and knowledgeable BMW parts experts have the expertise to help you find the right parts and accessories for your vehicle. Just like your BMW vehicle, Genuine BMW Parts and Accessories are held to strict standards in three key areas: reliability, sustainability, and value retention. As a result, you can drive with complete confidence from knowing your BMW vehicle will continue to provide optimized performance along with superior longevity. From OEM-approved BMW tires and brake components, spark plugs and oil filters, to Dinan Engineering performance parts and BMW accessories — the parts experts at Sewickley BMW will help you find the parts you need. And if we don’t currently have the exact component you require, our parts team will order it promptly.